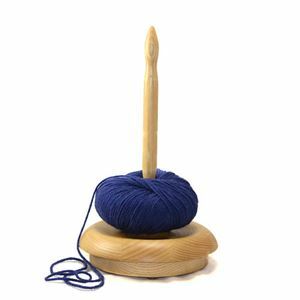 The Yarn Butler is a fabulous knitting accessory. Just place your ball of yarn on the Yarn Butler and it will turn smoothly as you use your yarn. The rubber feet protects surfaces and the spindle screws into the base for easy storage.